Heart disease is a leading cause of mortality all over the world. The mortality for all cardiovascular diseases was 262 per 100,000 persons, accounting for 1 of every 3 deaths in China (Weiwei et al. 2016). Pharmacologic drugs for heart diseases have multiple systemic side effects and limitations, and there is an unmet need for improving clinical outcomes without side effects. Interventional cardiovascular therapy including percutaneous coronary intervention (PCI), pacemaker implantation, and cardiac ablation has improved the prognosis for patients with heart diseases. However, large numbers of patients with heart diseases are still left with significant morbidity despite those therapies. This limitation in available therapies has prompted extensive investigation of new treatments. 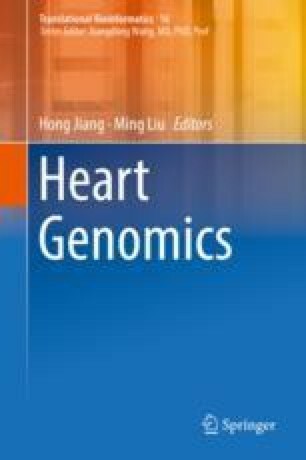 The improved understanding of the molecular basis of the heart diseases and the development of gene transferring vehicles and delivering systems have given researchers the tools to target-specific genes and pathways which play a role in heart diseases. The first clinical trial of gene therapy for heart disease was initiated more than two decades ago. Through the use of a vector, a new copy of a gene or relevant nucleotide sequence is inserted into a patient’s heart tissue to either compensate or correct for the deleted or defective version that is causing the disease or enhance an existing version. The development of gene therapy in heart disease depends on the development of gene delivering systems, achievement of highly efficient, long-term and targeted expression to heart tissue, as well as design of gene transferring vectors that are safe for human administration. The authors would like to acknowledge financial support from the National Natural Science Foundation, China (No. 81570348).